Stiebel Eltron is among the pioneers of conventional tank-based water heaters and the newer tankless models as well. With over 90 years in the business, they are living proof that experience is indeed the best teacher. Their pedigree speaks for itself; they have managed to move approximately 20 million units on a global scale. It is hard for any company to stay relevant for that long, but Stiebel Eltron has managed to innovate and reinvent itself appropriately. They may be a blast from the past, but they are still the kings of modern technology. Their Stiebel Eltron tankless water heaters are as fancy as they come. If you ask around Europe, people have nothing but good things to say about Stiebel Eltron. Throughout its 94 years of existence, Dr. Rheodor Stiebel’s biggest asset has managed to stay in the family. Stiebel’s family and lineage understand the importance of family and having a home that is reliable. Some of the essential products that they offer include heat pump water heaters, solar thermal products and of course, tankless water heaters. Stiebel Eltron’s engineers are the masters of tankless electric water heaters. It has taken them decades to perfect their method of heating up water and homes. So, regardless of your type of need or specification, numerous models will fit each and every one of them. The various models are developed according to what use clients have for them. You can either have one central water heater for the whole house or several smaller ones at every point where it is most useful. Stiebel Eltron mostly specializes in electric models. 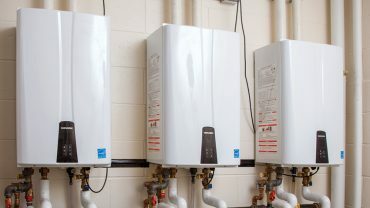 Electric water heaters have significant advantages over other models such as natural gas or propane models. For starters, they are way more flexible. There is an infinite number of locations at your home where you can install an electric water heater. No space is too rugged or inaccessible. Also, the installation is way more comfortable. When dealing with gas models, you will need to bury large gas tanks all over your compound so as not to run out of supply. Electric models only need a reliable electricity service and the power running through it is well utilized and conserved. The absence of tanks means there is no significant mass of hot water on standby ergo, and therefore no standby losses. A home has different hot water needs. The main ones are the showers, washing machines, and sinks. 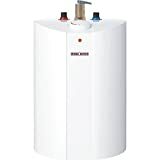 Relying on the central water heater to supply hot water to all corners might put too much strain on it so to ease the struggle, opt for a point-of-use tankless water heater. Point of Use tankless units are mini heaters that are designed and installed to supply hot water to one specific area of need at a time. A good example is the Mini Single Handwashing Sink Tankless Electric Water Heater, which is the best model for your home or office sinks. It also works wonders at restaurants, malls, hotels and gas stations. At home, it can serve all regular sinks such as the kitchen sink, bathroom sink and the one found at the laundry area. With the point of use water heater, you get your hot water instantaneously. The flow switch helps you regulate it to any temperature or flow of your liking. It is also completely safe thanks to the safety high-limit. You can manually reset it if the need arises. 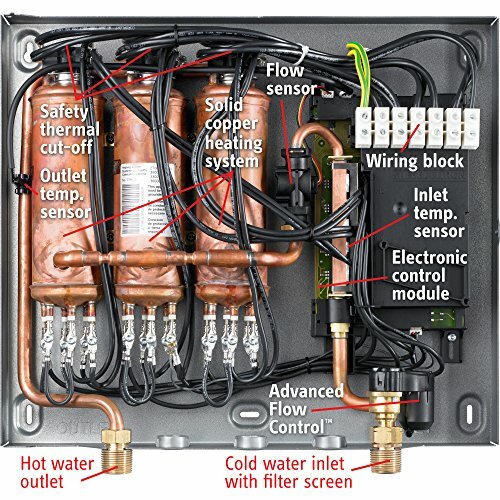 Whole House tankless water heaters are self-explanatory. These are high power appliances that can supply the ‘whole house’ with all the hot water it needs. With such a model, you can have your sinks, showers and washing machines running with hot water whenever you need it. Some whole-house tankless water heater models can provide a single fixture at a time while others can provide multiple installations. It all boils down to sizing and how powerful your unit is. The Tempra series is the perfect example of a world-class whole house tankless system. 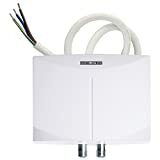 Tempra is a brand of whole house tankless water heaters that Stiebel Eltron is so popular for. Its sleek design will catch your attention right away. It will also save you a lot of space since it is very compact. This elegant piece of machinery is built using advanced technology to help you get the most out of it while also conserving space, water, and the environment. Each brand or product from Stiebel Eltron is unique in its own way. There is something different that they bring to the table. Regardless, there are several features that you can only find in Stiebel Eltron tankless water heaters, and they form part of the trademark of the company. Tankless electric water heaters may require a lot of electrical energy to run, but luckily, most of it is conserved. 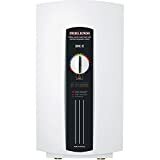 First, by being tankless and eliminating standby losses, it already saves you up to 20% of the cost it takes to install and maintain a regular water heater with a tank. Furthermore, tankless electric water heaters are universally known to be very energy efficient. They score up to 98% when it comes to efficiency. It is no secret that tankless systems are excellent when it comes to saving water. While other heaters require large tanks and miles of pipe for them to function, tankless electric systems only require a few components. It gets even better with point-of-use models which you install right where you need them. The heating mechanism is right there, therefore, it takes the shortest amount of time and water for you to get the temperature you want. The design has a lot to do with the amount of space you need. Stiebel Eltron models are sleek and compact. Even the largest Tempra series require a relatively small amount of space for it to sit. The beauty of tankless electric water heaters is they can be placed anywhere. You can have it in your bedroom, living room, garage or even closet. No space is too small. The models don’t need ventilation, therefore, the location shouldn’t be an issue. Water heaters are great, but what if the electric bill is becoming too high to handle? Well, Stiebel Eltron has already taken care of that using their solar thermal invention. The solar water heating system has been on the market for over 40 years. During that period, Stiebel Eltron has perfected the design and made it diverse enough to fit all kinds of households. There is a complete SOL kit package that makes it possible to fit the solar system in any roof and environment. With the solar thermal system, you will reduce up to 75% of your water heating bills and laugh all the way to the bank the next time the power bill arrives. Unlike other tankless systems, the solar thermal system requires a tank for heat exchange. The system traps heat from the sun using a particular fluid that transfers it to the tank to warm up the water. Once the special liquid is cold, the process is repeated. The tank also has a backup system for cloudy days, when the sun cannot provide enough heat. The backup system is electric, and it makes up for cloudy and rainy days or situations when the solar thermal system does not function accordingly. One of the features we dig in the Tempra series is its steady temperature regardless of the water demand. 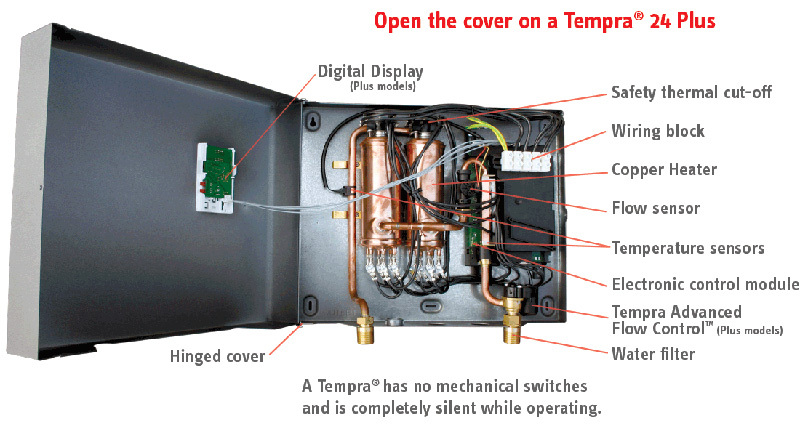 Tempra Plus is exclusively known for the Tempra Advanced Temperature Control feature, the only one of its kind. It ensures that the user always gets the set temperature level. When the water demand is higher than expected, the Tempra Advanced Temperature Control slightly reduces the flow so that the spread temperature can remain exactly the same. 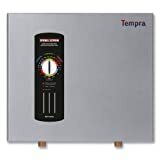 So, while other water heaters give you colder water with increasing demand, the Tempra Plus gives you a reduced flow but at the right temperature. 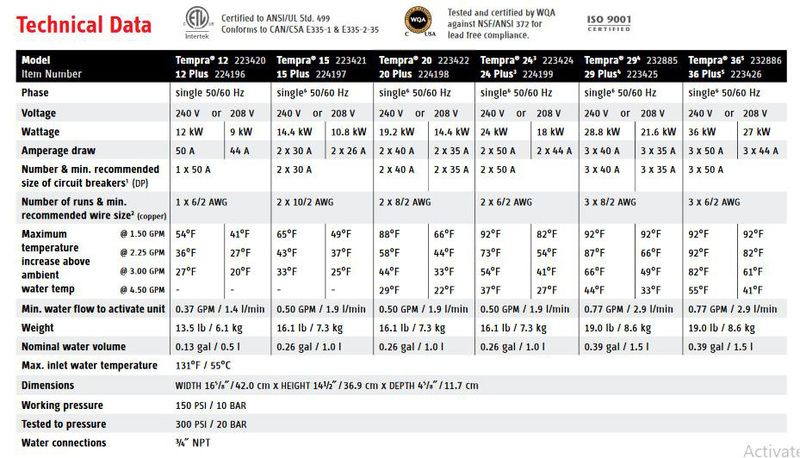 While the Tempra Advanced Temperature Control is only limited to Tempra Plus, other Tempra models have microprocessors that ensure that you always get the correct temperature. One of the primary reasons why some users experience problems is improper sizing. With no prior knowledge of tankless heaters, one is bound to buy the wrong type and size and end up suffering from one difficult problem after the other. For you to escape this predicament and buy a tankless water heater that will serve you for decades, use the sizing guide to determine the best option. The main thing that should be taken into consideration is the groundwater temperature. Different areas have different groundwater temperatures. Using the sizing guide, the ground temperature will show you the number of fixtures your water heater can supply. Using the maximum flow rate of your water, you can then determine the flow rate of the water heater you need. For example, if your shower’s maximum flow rate is 1.5 GPM, then the water heater with the same flow rate will supply only one fixture at a time. A system with 3 GPM will provide enough hot water for two fixtures at a time or one shower and one sink fixture at the same time. 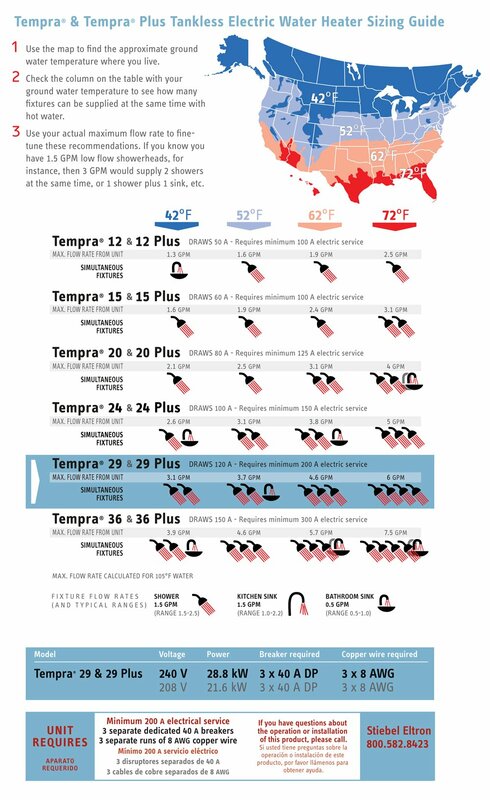 Areas with groundwater temperature that averages about 42 degrees Fahrenheit can get only one fixture at a time if they use the Tempra 12 Plus which has a flow rate of 1.3 GPM. If the same people switch to the Tempra 36 Plus, they will get two showers and one sink fixtures at the same time. Those living in areas with higher groundwater temperature have a significant advantage since they can get up to 5 fixtures at the same time using the same Tempra 36 Plus with a flow rate of 7.5 GPM. There are so many brands and products under the Stiebel Eltron umbrella, but these three stand out from the rest. They are popular amongst most clients, and they showcase the best of what Stiebel Eltron has to offer. This 19-pound German machine is among the finest and most advanced models ever developed by Stiebel Eltron. It comes in many different styles depending on the number of kilowatts it packs ranging from the Tempra 12 (12 kW) to the Tempra 36. You will require 240 Volts and 300 A from your power supply to run it successfully. 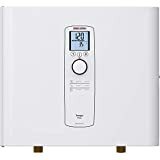 Operating the Tempra Plus is straightforward thanks to the digital control screen that features the Tempra Advanced Temperature Control, which is capable of maintaining the heat level stable at any given moment. Installing the unit should be fairly easy, especially that it doesn’t require any venting, but do not hesitate to contact a professional to do it for you if home installations aren’t your best suit. The Tempra Plus is very reliable, and it delivers on its word. It features the Tempra Advanced Temperature Control that ensures you always get the correct temperature regardless of demand. The DHC series is another favorite for many households since it can serve as either a single or multi point-of-use system. They come in 9 different styles which are the DHC 10-2, DHC 3-2, DHC 4-2, DHC 5-2, DHC 6-2, and the two E series which are the E12 and the E8/10. Setting the temperature on the E series is as easy as flipping the knob on the front panel which is calibrated in a comfortable and readable way. It weighs only 6 pounds and has a unique warranty that is unheard of in the water heating industry. The mini 4 is among the most compact designs Stiebel Eltron has. At only 4 pounds, you can fit it anywhere you like. Being a point of use unit, you will get your hot sink water immediately. It has a flow switch for efficiency and is German-engineered with an automatic reset safety high-limit. The mini 4 comes with additional faucet aerators and flow controls. The Mini 4 is ideal for other residential and commercial settings. You can use it on all your office sinks or in motels, restaurants, warehouses and gas stations. It can also take care of your bathroom, toilet, washing area and kitchen sinks back at home. Stiebel Eltron are putting their considerable experience to good use. They are using advanced technology to solve some of the most common problems they have seen or come across in the heating industry. With over 90 years in business, they certainly know everything there is to know yet they are still wise enough to acknowledge that learning never stops and new ways can always be developed. Even though everything is tankless, sometimes a little tank doesn’t hurt. The SHC Mini-Tank Electric Water Heater incorporates the best of both the old and new technology. This stylish point of use system can easily be tucked nicely under your sink as long as a reliable power source is nearby.